LOUDON, NH., November 12, 2018 —Plan Tech, Inc. selected to produce thousands of urethane tires for the robotics industry. These custom molded tires are required to have an extremely tight tolerance and great traction properties that outperform rubber tires. 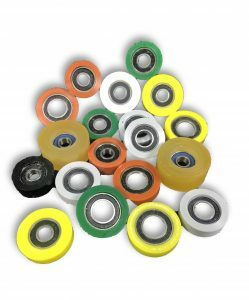 While rubber tires provide better traction properties these specific urethane tires are required to roll in a very abrasive environment. The mechanical properties of polyurethane unique elastomer can be manipulated and separated through polymeric creativity making problem-solving easy with a high-performance ability that is second to none. The benefits and advantages of this material are limitless.